Mr. Haruhiko Okura, you are one of the members of the Henokiens Association, could you please present yourself to our readers? In 1981 I graduated the faculty of economics at Hitotsubashi University and joined the Dai-Ichi Kangyo Bank. In 1987 I left the bank and joined Gekkeikan Sake Co., Ltd. In 1997 I was appointed the 14th generation successor and president of the family business. My hobbies are reading, watching football and playing Japanese chess. Sake brewing is a mainstay of our firm since it was founded in 1637. We also produce and sell shochu and liqueurs, and import and distribute German beer, German wine and French wine. We have a capital of roughly 490 million yen and recorded net sales of 29.3 billion yen in the year ended March 2014. Gekkeikan employs a staff of about 480. Our head office is in the Fushimi district of Kyoto, and we run branches in ten cities throughout Japan. Our overseas bases are Gekkeikan Sake (USA), Inc. established in 1989 and Gekkeikan (Shanghai) Trading Co., Ltd. established in 2011. We joined the Henokiens Association in 1984. 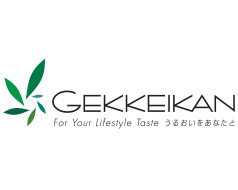 In 2014 Gekkeikan welcomed the food products division of Kinrei Corporation as a group company. We are looking to enhance our offerings by building a food business to augment our mainstay sake business. Kinrei is strong in frozen meals sold widely at convenience stores and supermarkets. Its signature product is nabeyaki udon – buckwheat noodles packaged with soup and pre-cooked toppings in a single serve aluminum pot. We plan to further develop our mainstay sake business in line with our corporate philosophy of putting quality first and promoting creativity and innovation. To this end, we aim to increase overseas sales to about 20 percent of all sake sales. We also hope to build a food business to augment the sake business. A pillar of this strategy is the manufacturing of excellent food products by group companies such as Kinrei. The history of sake brewing at Gekkeikan is a story of creativity and innovation with which we overcame a succession of hardships. I believe this perseverance has given shape to our tradition of more than 370 years. Sake brewing at Gekkeikan has always put quality first in efforts to satisfy customer demand. This grand goal has kept our sake business alive for more than 370 years and fostered the Gekkeikan brand into what it is today. Yes, the Gekkeikan brand is a vital asset in our relations with our customers. In 1997, we defined the tacit values of Gekkeikan Sake Co., Ltd. passed from generation to generation into the three words in our corporate philosophy – “Quality, Creativity and Humanity.” We have conducted our business in line with this corporate philosophy ever since. Which are the most important traps that your company must avoid in order not to lose its independence? Avoid a reckless expansion of business. Strive unflaggingly for innovation within the realm of reality. The 11th generation successor, Tsunekichi Okura, established the Okura Sake Brewing Research Institute in 1909. It was the first such organization run by a sake maker. He introduced scientific methods into the sake brewing process and put into practice the principle of quality first. He also developed bottled sake at a time when barreled sake was at the height of popularity. The innovative bottle designs commissioned by Tsunekichi created an entirely new product out of traditional sake. With the deregulation of the liquor retail market in 1998, as the 14th generation successor I built a system for proposing marketing solutions not only to small liquor shops but also to large retailers. We don’t have a written set of rules, but the 12th, 13th and 14th generation successors all graduated university and then worked at a bank before joining Gekkeikan. In the beginning, the new president manages the firm together with his predecessor, who serves as chairman. The family’s tacit knowledge is transmitted from father to son during this time. No, the 15th generation does not work at Gekkeikan at this time. A business does not grow if you look only at short-term profits. It’s important to have a long-term perspective and ensure that your business benefits society at large. This is the very purpose of continuing the business. It’s also important to build healthy relations not only within the family but also with your shareholders, your partners, your employees and the members of your community.